Have you ever wanted to learn a few extra skills like first aid, conflict resolution, or building networks? Well thanks to The U having joined forces with the Royal Borough of Kingston, there are now fun 90 minute sessions happening around Malden Manor where you can learn these skills and more for free, including within KT4. 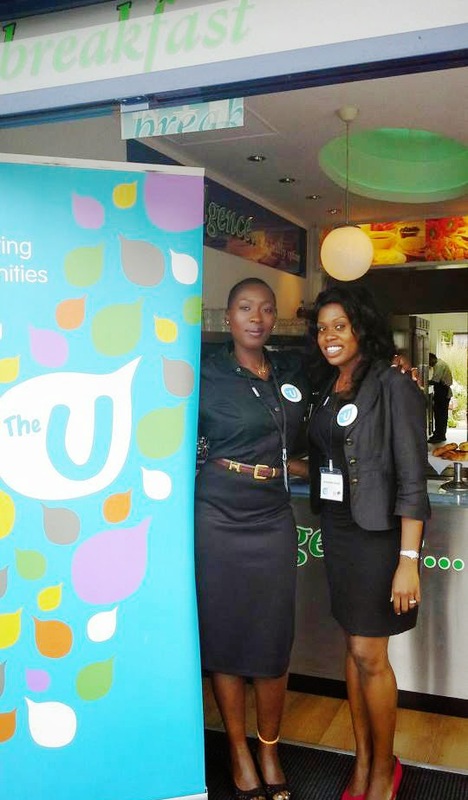 Launched in the Indulgence Cafe (opposite the Plough) on Malden Road on the 1st August, The U's partnership with Kingston is offering fun, interactive, and free of charge learning sessions over the next five months - that's up until December. "The U will be delivering the following sessions: Be a Lifesaver, developed with the British Red Cross covers what do to in the first few minutes of seven key medical emergencies; Give and Take, developed with Dfuse, covers how to get into the right mind-set to handle a conflict safely and with a better chance of an amicable outcome; Build your Networks covers how to develop and maintain personal networks that will help you out throughout your life; and Glass Half Full offers a few simple tips and exercises that can help offset the effects of stress and help you maintain a more positive outlook. 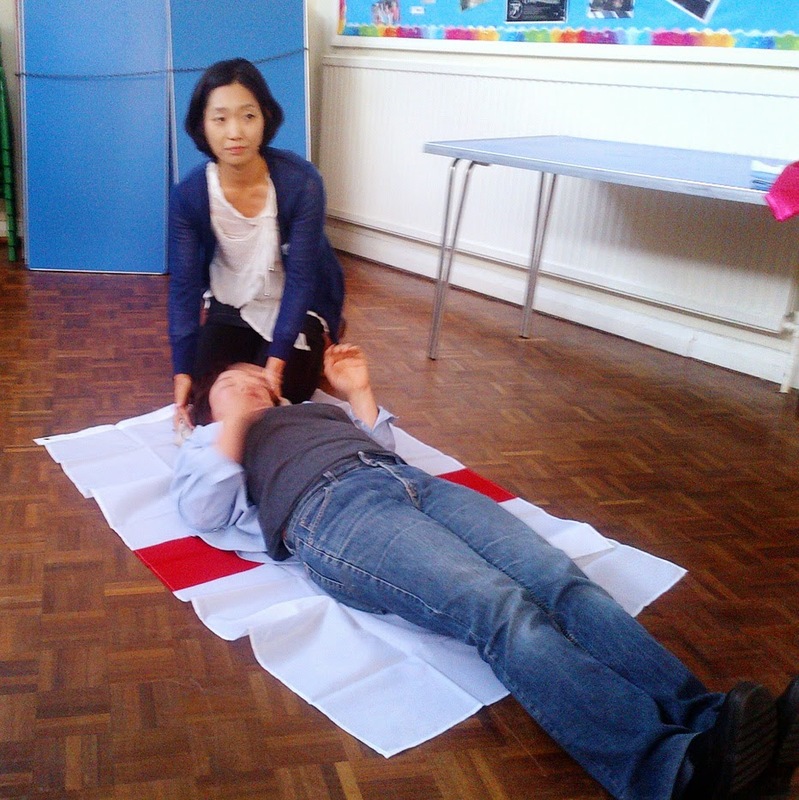 All sessions are 90 minutes long and will be delivered in venues around Malden Manor. We also work with local organisations and groups to offer the sessions as part of their programme of events and activities." 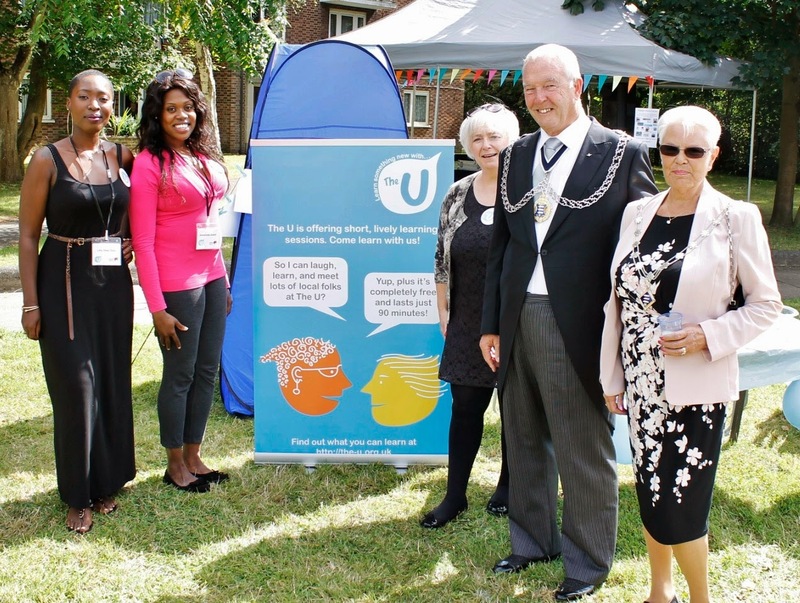 Smith at the Malden Manor Fun Day on 16th August. At the Worcester Park Baptist Church - in The Avenue, just across the Road from Worcester Park station and round the corner a bit, there is a "Positivity" session this coming Thursday (28th August) at 10am. They are also hosting a "Be a Lifesaver" (developed in partnership with the British Red Cross) session next Thursday (4th September) at 2pm. Lilly and Antionette at the launch. 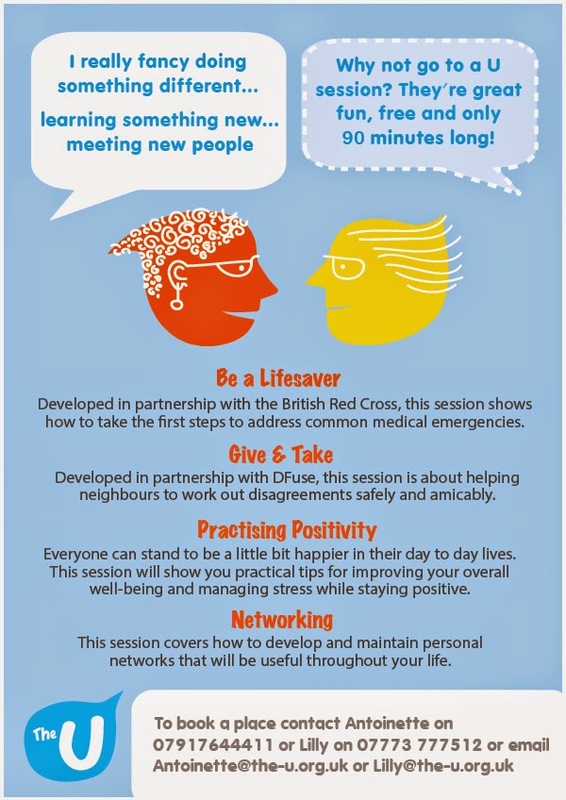 Meanwhile St John the Baptist Church in Church Road, KT4 7RY, are holding U sessions this Friday (29th August) - "Be a Lifesaver" and this coming Monday (1st September) at 2pm "Positivity". To book a place at these or any of the other sessions on offer around the place, contact Lilly or Antoinette (lilly@the-u.org.uk / antoinette@the-u.org.uk respectivly). The U also has a branch in Sutton but I am not aware of any sessions in Worcester Park in the recent past or near future. The Sutton U schedule for the next few month can be seen here.